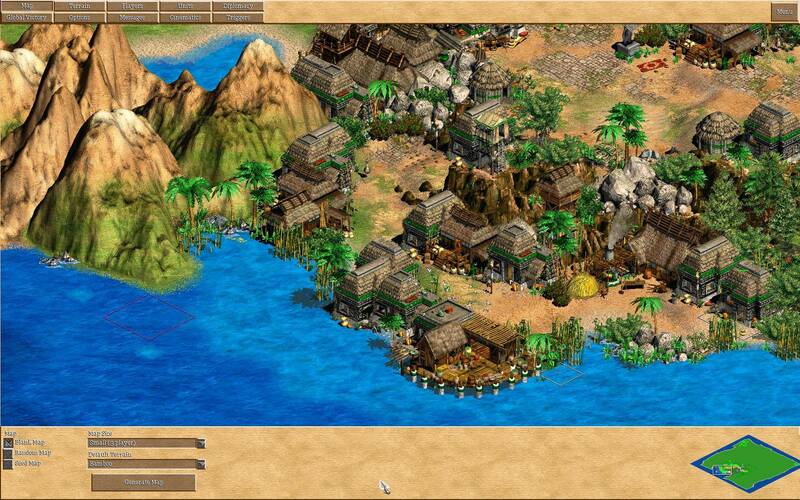 Age of Kings Heaven » Forums » Scenario Design and Discussion » Your works of art. Topic Subject: Your works of art. We all love AoC. Why else would we be here? Why else would you be reading this thread? With the seemingly less projects dominating the 1st page of SD&M, whether it be your work is not far along enough to post in the "Current Projects" thread, or even to have a thread of its' own. Why not give us a snippet of what you're working on?! Campaigns, Scenarios, Mods, anything! It could be your big project, a side project, if you're just kicking back playing an RM or MP game or your favourite Campaign. Even just messing around in the editor or Poser? I would love to see your raw works, or what you're up to in the world of AoC. 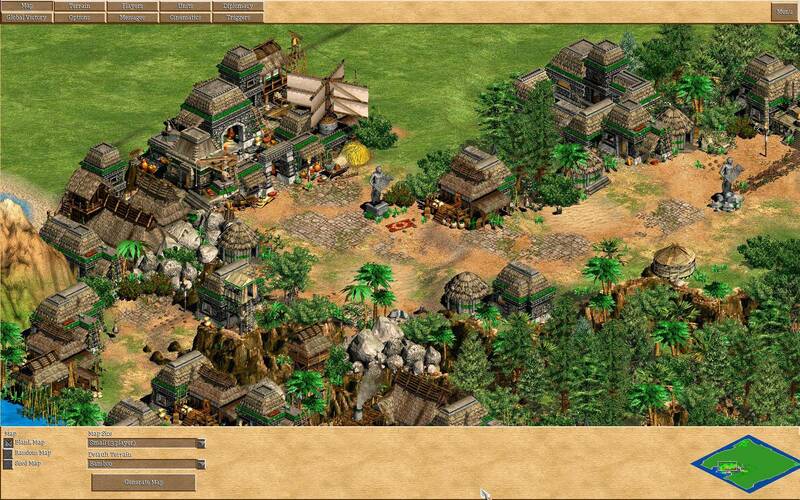 Think of it as an "Instagram" for Age of Empires. Need a place to host your images? Not a current project or anything, just bored and playing in the editor. I was working on a project where a pirate named Brown Beard (represented by William Wallace) raided the coast of Italy for the "Sacred Relic of the Sun". It was going to be cool IMO but then I saw some threads on scenario design and thought to myself "This will be no where good as these ones." so I kind of gave up. I still have it somewhere but I cant figure out where my screenshots are in AOC, but I can find them in FE. So now I just play some great scenarios from the blacksmith. what is it? looks like an expansion pack like what Furik and the other guys are doing. Great idea and gorgeous screenie, D_R! FYI in UserPatch you can place all those objects off-grid if you press "ctrl+s" once, and you can toggle completely free placement of all objects (except for walls) if you press "ctrl+s" a second time. hey can any of you tell me where I can find my AOC screenshots I looked in every folder and file and couldn't find them. Maybe I missed one or something. There should be a folder named "Screenshots", eh? Try my guide, if you can't find it. @Youmuu: I looked at you guide and looked at in every folder in my AOC folder and couldn't find my screenshot folder. I have one for FE I can find that one but not the one for AOC. Have you tried using the "search" option? @Youmuu: Found them thanks a lot. 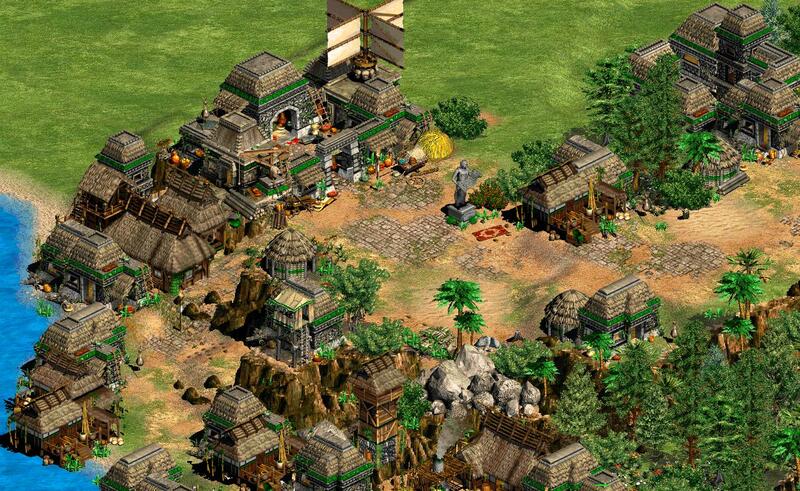 If you have windows 8 and don't run aoe as admin that can happen. I couldn't find my files either at first. 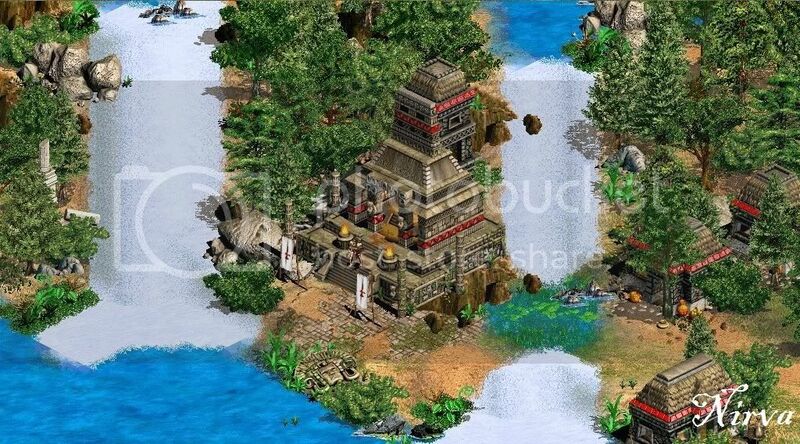 Finally I found out windows stored my files(screenshots/scenarios) in "C:\Users\User\AppData\Local\VirtualStore\Program Files (x86)\Microsoft Games\Age of Empires II". ahhhh! I have windows 8 maybe that's why I couldn't find them. But I did the search thing like Youmuu said and I found them. Here they are btw they are from FE because there's more things in FE for me to add as eye candy: http://i.imgur.com/ay0QfpV.png?1 tell me what you think ill post more later. 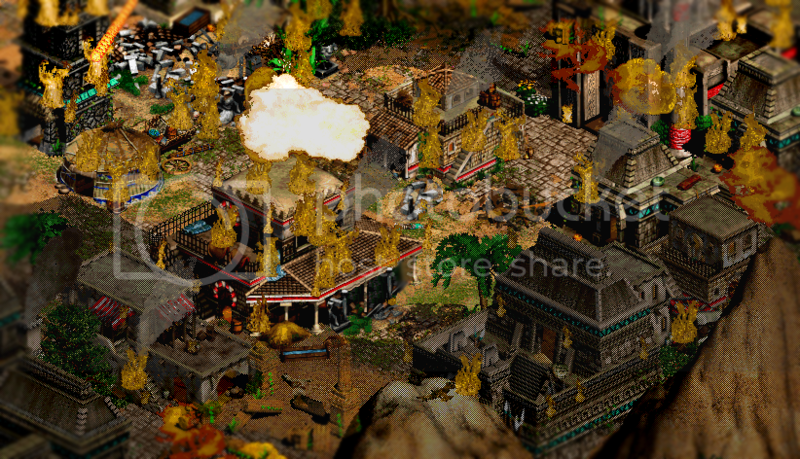 I think it lacks a bit elevation, eye candy and terrain mixing. Well people who play this game are different. Some are good at making scenarios, others modding or scripting or something like that. As for me, I like to mess around in the editor. Nice Screens Youmuu! And D_R, yours is looking promising, too! Yes I have several things to edit in mind, currently working on AI and unitlines. Which is still a headache for me. Great shots and responses! Keep it up! @SAM: I shall check out this Userpatch. Here is something i made some time ago. I did edit it tho. Really liking your screenshots, Youmuu! Coming up next: A floating market village, inspired from NowhereT's waterworld. My favorite screenies from that project would have to be either the east-Asian mountain village, the lush forest with the shoreless shallows, or the snowy city. I loved how you mixed the cathedral with the castle and towers! @Dev: How's the remake coming? This does not mean that i havn't done anything on it yet, i had quite some stuff done when i announced it. And it's - Paradise Lost: Remastered.